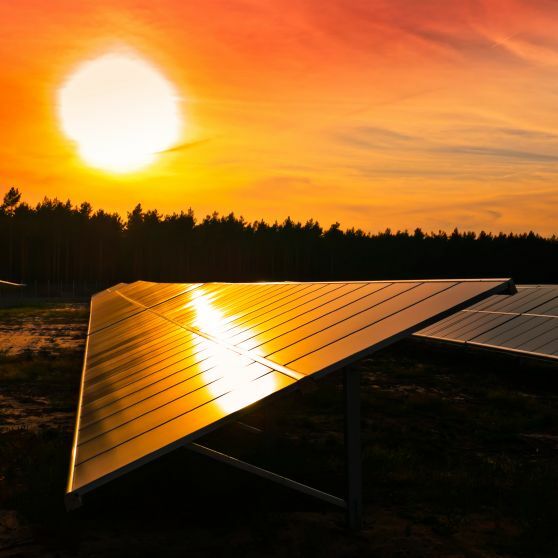 In part one of his mid-year update on renewable energy development in the mid-Atlantic, Eric showcases momentum in the solar energy industry. An article in yesterday’s News & Advance profiled a Lynchburg business that has invested over half a million dollars to produce solar energy at its headquarters. BMS Direct, a company that processes invoices and billing statements, now has over 900 solar panels on the roof of its 80,000-square-foot facility in Lynchburg. 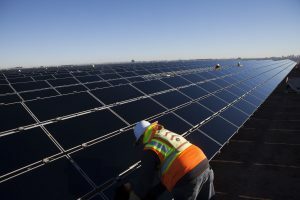 The solar panels now supply about half of the company’s electric needs, and the resulting energy savings are expected to pay for the cost of the system in six years. Several factors, including declining solar panel prices and federal investment tax credits, make it a great time to invest in solar energy. 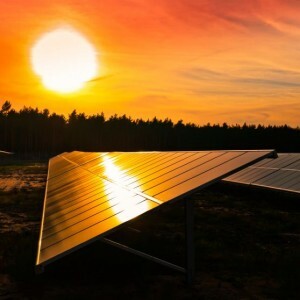 According to the Solar Energy Industries Association (“SEIA”), solar has experienced an average annual growth rate of 68%, while installed solar prices have dropped 55% over the last five years. The installed cost of a solar installation is now between $2.30 per watt and $2.75 per watt for residential systems and $1.40 per watt and $2.20 per watt for commercial systems. Federal law currently authorizes a 30% tax credit for residential and commercial solar systems, although this percentage is scheduled to decline beginning in 2020. Virginia law allows all customers to generate their own renewable energy on site by “net metering.” Electric utilities in Virginia are required to offer net metering programs, which allow residential customers and businesses like BMS Direct to install renewable energy facilities on their property. Net metering customers only have to pay their utility for their electricity usage that is in excess of what they generate on site. Appalachian Power (“APCo”) says that about 750 of its customers participate in the net metering program. Moreover, Virginia customers are also currently permitted to purchase 100% renewable energy, including solar, from non-utility companies. Under Virginia law, most customers are allowed to purchase renewable generation from third-party suppliers only if their incumbent electric utility does not have an approved tariff for 100% renewable energy. See Va. Code Section 56-577(A)(5). 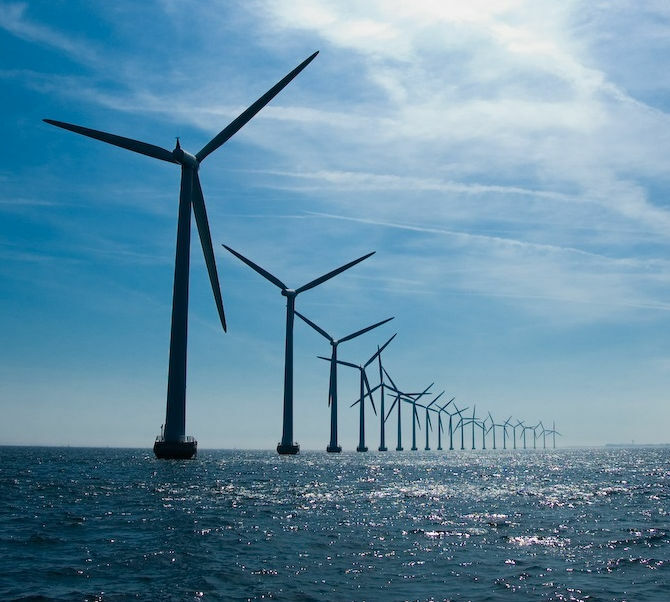 However, no Virginia utility currently offers a 100% renewable energy option for its customers. As we have written about here, the Virginia State Corporation Commission (“SCC”) recently rejected a renewable energy tariff proposal by APCo that, if approved, would have prevented its customers from purchasing solar energy from third-party suppliers. 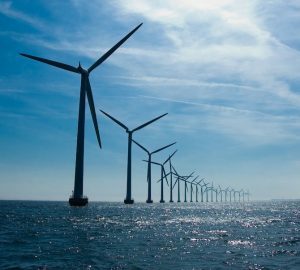 The SCC is also currently considering a similar renewable tariff application filed by Dominion Energy Virginia (“Dominion”) in SCC Case No.PUR-2017-00060. If approved, Dominion’s tariff would limit clean energy choices for its large customers, and potentially other classes of customers in the future. If you want to learn more about the regulations governing solar installations, and whether developing a solar energy project may make sense for you or your business, please contact one of our renewable energy lawyers or regulatory attorneys. Eric Wallace explains what’s driving the increase in interest and use for community solar energy generating facilities in mid-Atlantic jurisdictions such as Maryland and the District of Columbia. For more information about community solar projects and regulation, contact Eric or any of our mid-Atlantic energy lawyers. GreeneHurlocker attorney Eric Hurlocker was among the invited guests attending the clean energy bill signing ceremony at the Governor’s mansion this morning. 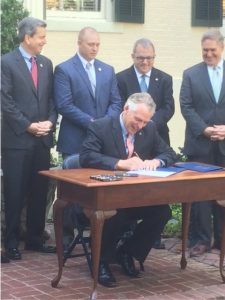 Governor McAuliffe signed eleven pieces of legislation passed by the 2017 General Assembly that will help promote further development of renewable energy in Virginia. The Governor noted that “Virginia is moving in the right direction, especially with the recent announcement of record growth in our solar industry, but there is still work to do.” The Governor also added that while there were only 17 MW of installed solar energy in Virginia at the beginning of 2014, the Commonwealth can now boast of over 1500 MW of solar generation that is either installed or under development today. Among the legislation signed today was Senate Bill 1393 (Wagner), a community solar bill that will allow customers of Appalachian Power and Dominion to purchase 100% solar energy from new solar facilities located in Virginia. Customers will be permitted to voluntarily “subscribe” to a solar energy rate schedule. Currently, neither utility offers customers an option to purchase 100% solar energy. Senate Bill 1395 (Wagner), also signed today, will expand the Virginia Department of Environmental Quality’s (“DEQ”) “permit-by-rule” (“PBR”) process to include larger renewable energy facilities. The PBR can often reduce the time and expense necessary to receive the state approvals required to begin construction and operation of a solar or wind facility. Senate Bill 1395 increases the facility size threshold, from 100 MW to 150 MW, which will allow more facilities to be permitted with fewer regulatory burdens from the state. Facilities receiving a PBR are exempted from State Corporation Commission review, so long as the project costs are not recovered from a utility’s ratepayers. The Governor also signed House Bill 2390 (Kilgore), which will allow non-profit higher education institutions in Appalachian Power’s service territory to purchase 100% renewable energy from non-utility sellers. This bill is intended to address some of the economic challenges faced by colleges who wish to use renewable energy. House Bill 2390, by allowing non-profit colleges to purchase energy from third-party sellers, will permit these institutions to take advantage of federal tax benefits of renewable energy investments. Please contact one of our renewable energy lawyers or regulatory attorneys should you have questions about these energy bills. On Wednesday, February 1, the Virginia State Corporation Commission approved an application filed by Dominion Virginia Power to construct and operate a 20 MW solar generating facility near the town of Remington, in Fauquier County. Virginia. 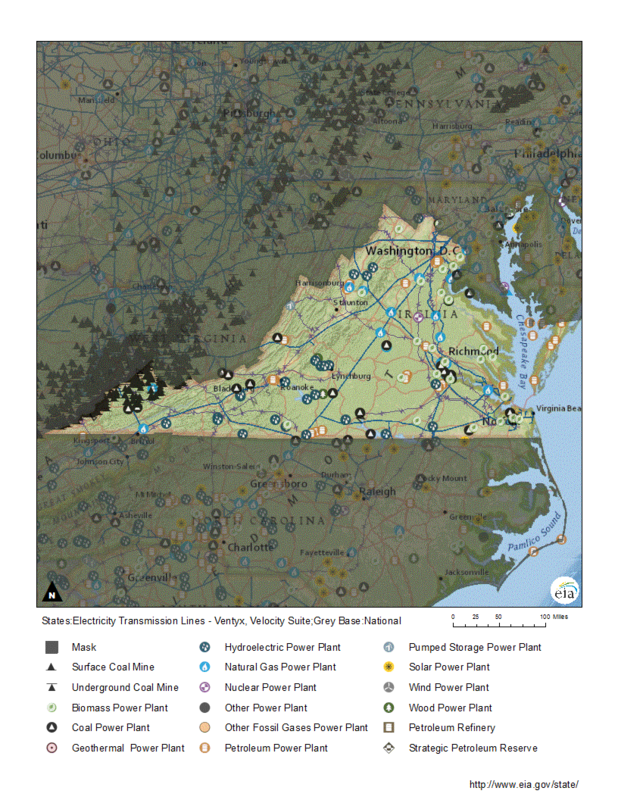 Dominion will sell the output of the facility to the Commonwealth of Virginia under a 25-year power purchase agreement. Dominion estimates that the total cost of the project will be $46 million. The terms of the agreement, however, including the price that the state agreed to pay for the energy, are confidential and were not disclosed to the Commission. The SCC rejected Dominion’s first application to build and operate the Remington facility in 2015. In the 2015 case, Dominion sought to increase customer rates in order to pay for the Remington project, which would have provided power to all of the company’s retail customers. But the Commission rejected Dominion’s application after finding that the company had not complied with a Virginia statute requiring it to consider third-party alternatives. Specifically, Virginia law requires utilities, when proposing to build new generation facilities, to demonstrate that they considered whether the same energy could have been obtained for a lower price from non-utility companies. The Commission admitted that it had “not reviewed or evaluated the terms of the Commonwealth’s contract with Dominion, including the financial terms of [the] arrangement.” Therefore, it is unclear at what price the Commonwealth agreed to purchase the Remington energy, or whether solar energy could have been obtained from another seller at a lower cost to taxpayers. Dominion has announced plans to build at least 400 MW of solar energy in Virginia by 2020. And, as we have discussed previously, several bills currently under consideration by the General Assembly could further accelerate the development of solar energy in Virginia. The Virginia Department of Environmental Quality reports that there are seven other solar facilities at least 20 MW in size that have been permitted by the state and in various stages of construction. Please contact one of our energy lawyers or regulatory attorneys should you have questions about this solar project or other renewable energy initiatives in Virginia.